Best mascara I have ever owned. My eyes used to feel itchy and tired after wearing cheap drugstore mascara, not with this brand! Also makes your eyelashes so long! Only used this a couple days but wow, absolutely amazing, won’t be using anything else now! First time purchaser – very impressed, makes lashes long, doesn’t smudge and easily removed with my cleanser and warm water/flannel. May try the Bio version next time, but enjoying this one. Have always used a natural mascara in the past. Product was recommended by a friend & have been using since May 2017 and still love it. Doesn’t smudge like my old mascara used to even after a gym session! Also easy to get off with warm water & cotton pad as I don’t like to use products around my sensitive eyes. I love this mascara. It doesn’t sting my eyes at all and it stays on throughout the day. Then at the end of the day I can wash it off with a cotton pad soaked in warm water. Simple! I decided to purchase Eye of Horus Goddess mascara and I have to say it is a lovely mascara. Great for sensitive eyes (mine have become that way) but what amazed me was the gorgeous lengthening of the lashes. When the brush comes out of the tube it looks like there is not much product on the wand – once you start applying the mascara, voila beautiful defined lashes with no clumping. I have wanted to try this mascara for a very long time but the price put me off somewhat. 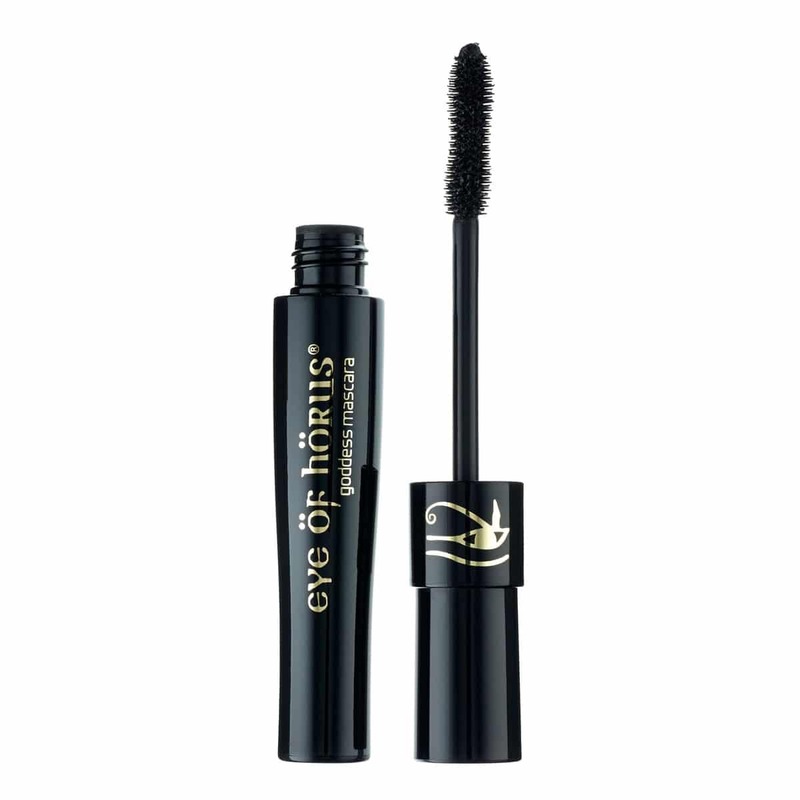 I am a little underwhelmed unfortunately, it is definitely great for sensitive eyes and it is a reasonably good lengthening mascara but i struggle to get a lot of volume with it. I also feel like the tube is half empty and that I have to really dig in there to get any product on the wand! All eye of horus products are amazing. This one has not let me down either. Long wearing but easy to remove. No clumping when applying either. The brush is also good esp for getting lower lashes. Tips: To maintain the condition of your mascara please ensure the cap is screwed tight after each application. as the product is made with natural waxes and oil.